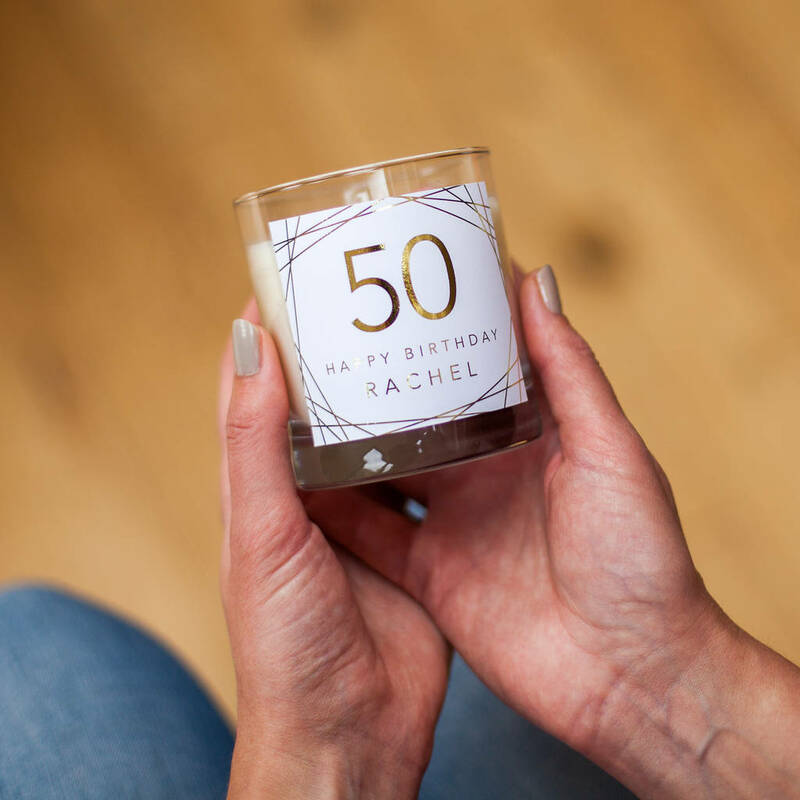 Our 50th Birthday Personalised Candle Gift is a stylish choice for celebrating a milestone 50th birthday in style! A delightful gift option. These lovely candles are a unique and thoughtful gift. 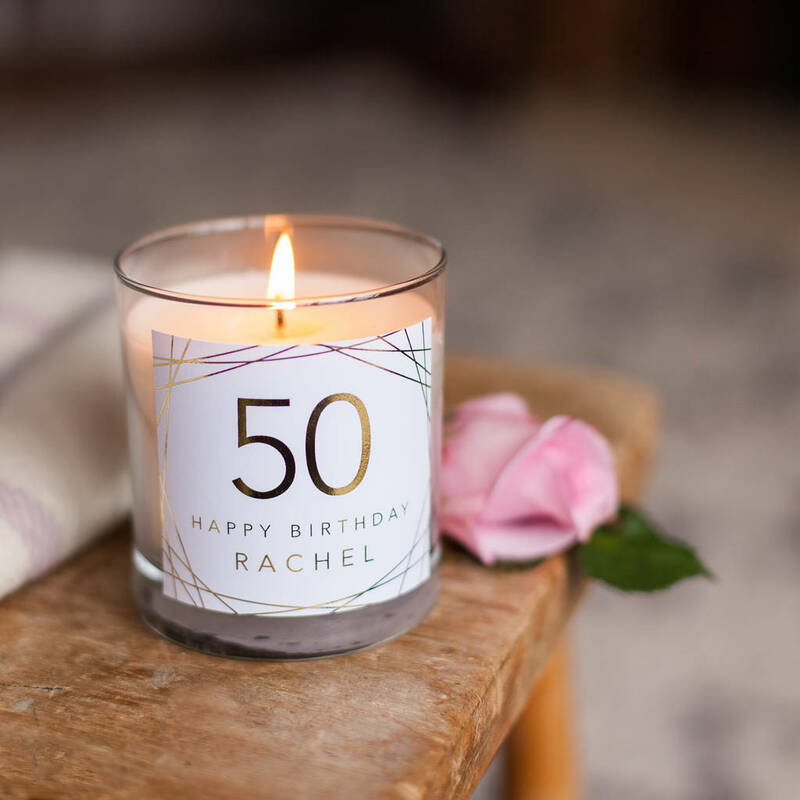 A delightful way to send your best wishes to someone special celebrating their 50th birthday. A perfect choice for such a milestone birthday. 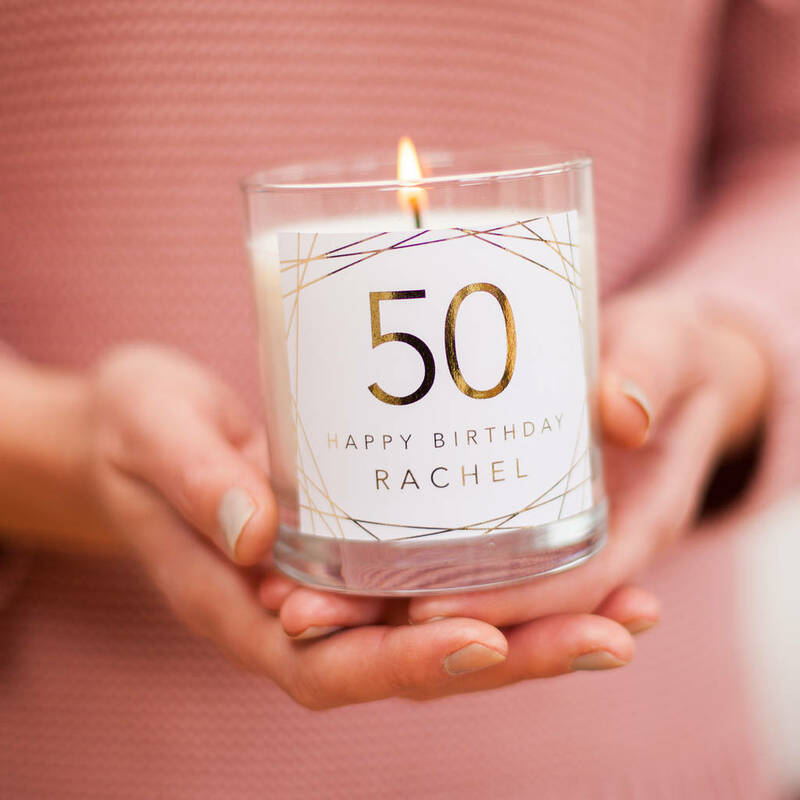 Each candle has '50' written in a modern font. 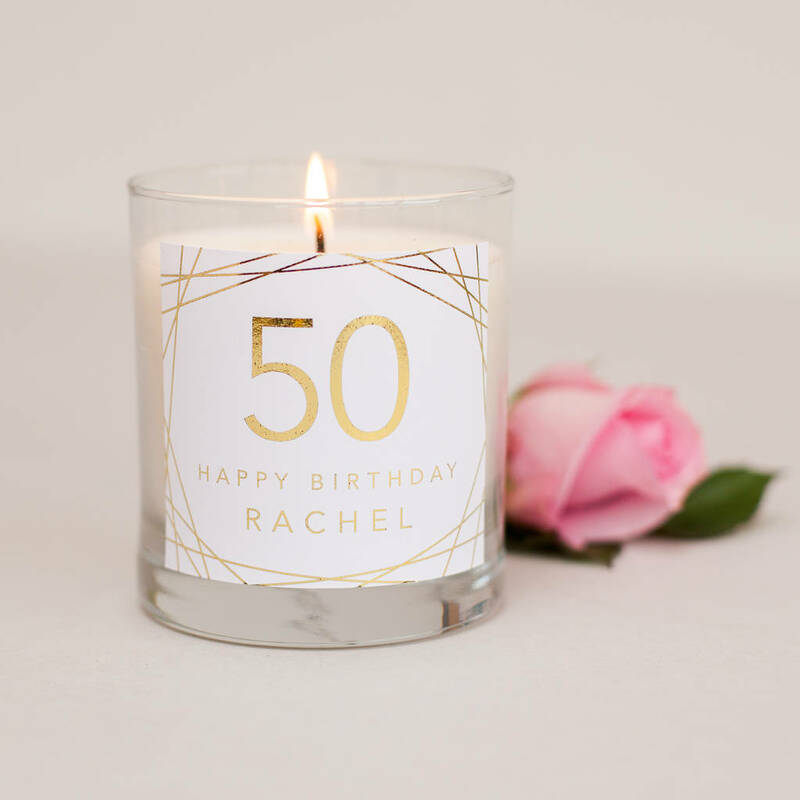 Below this is printed 'happy birthday' and then below this, the name of the person the candle is for, along with stylish geometric pattern around the outside. All printed on to a label in fashionable metallic foil. Each label is then attached to the outer glass candle tumbler. There are 4 lovley metallic colours to pick from, use the drop down menu to select from Gold, Rose Gold, Silver or Copper. Candles are supplied carefully wrapped in tissue paper and bubble wrap, dispatched in strudy postage box. If you'd like your candle to be supplied in a gift box then please select this option when ordering. Gift boxes are a brilliant finishing touch and are made from white card and are wrapped in a coloured paper band with ribbon and a co ordinating gift tag.